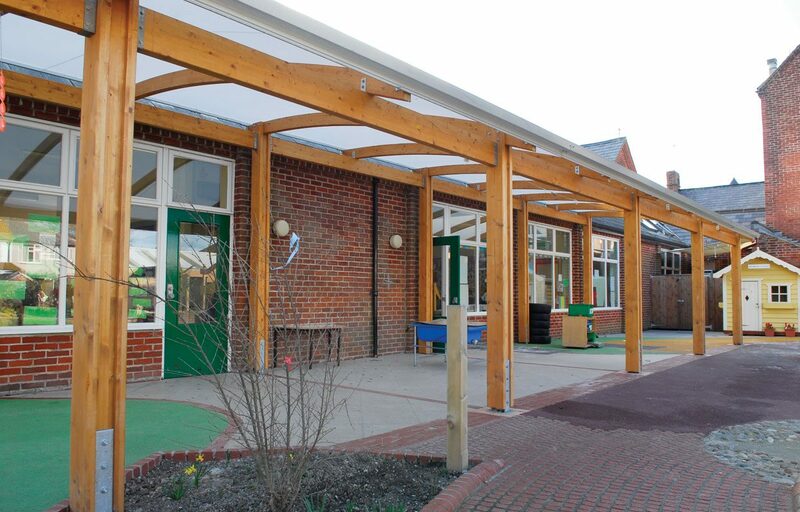 Mono-pitch timber playground canopy fabricated for Leesland Primary. 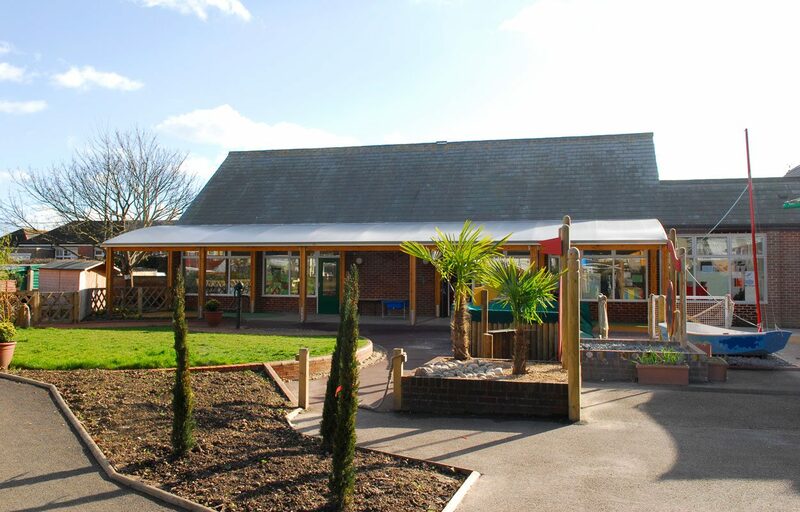 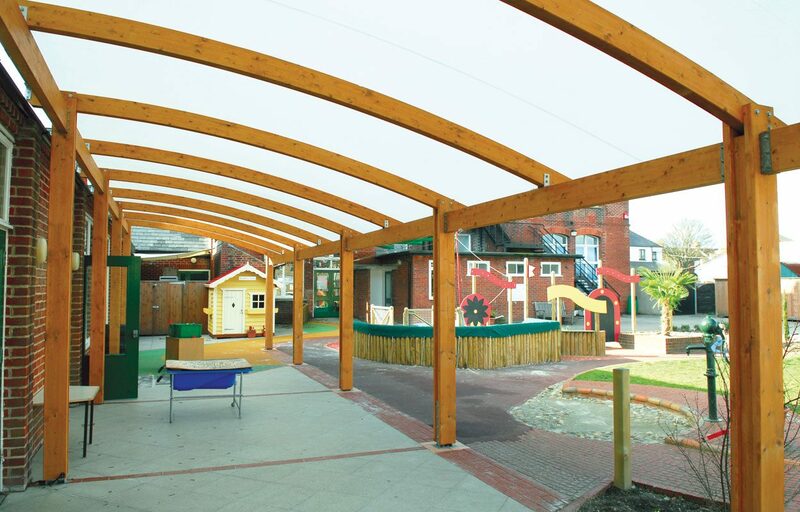 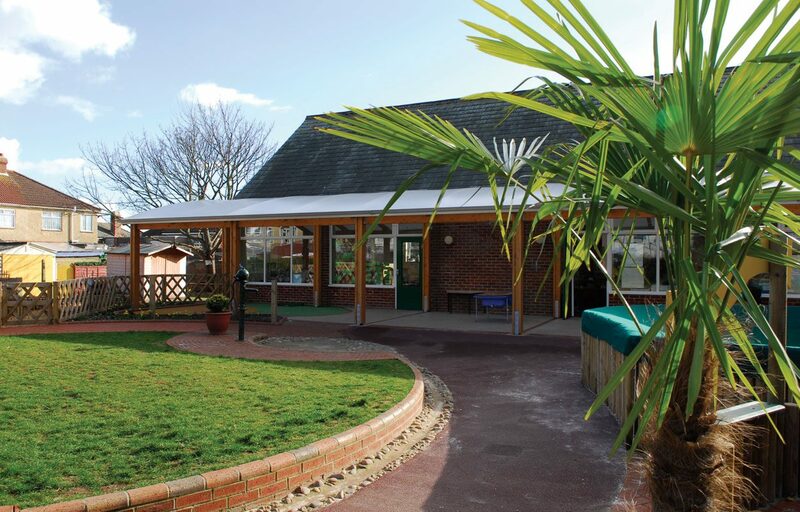 A structural playground canopy creates a sheltered area for children and staff to use as a learning, dining or meeting space while also shading the adjacent classroom building. 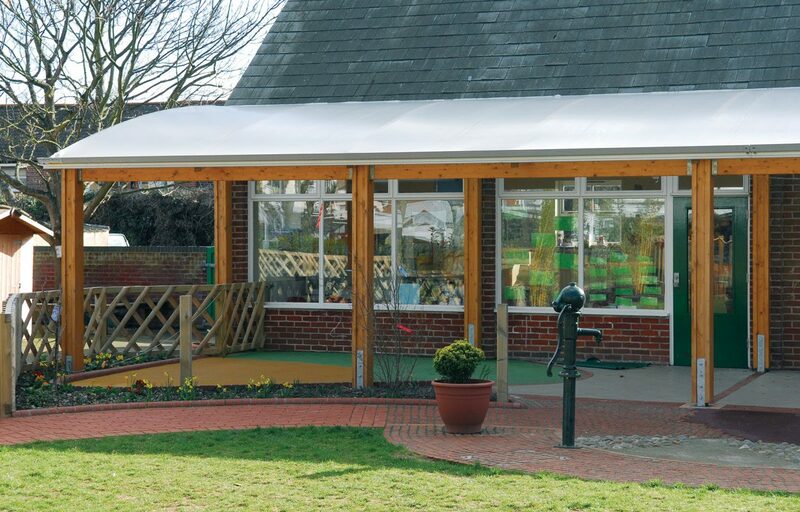 The mono pitch structure is completed by an Opal 60 roofing fabric designed exclusively for Fordingbridge with high light transmission and complete UV protection. 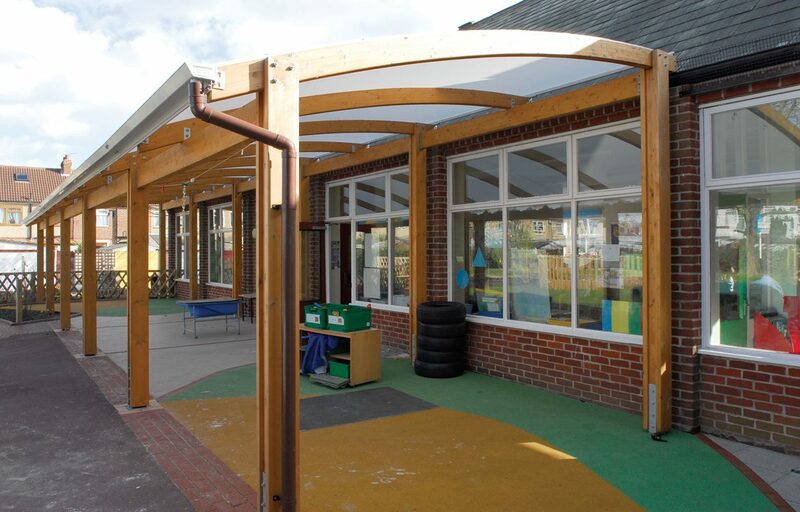 Developed exclusively for Fordingbridge, this fabric design allows maximum light penetration while protecting the canopy’s subjects from the sun and the rain. 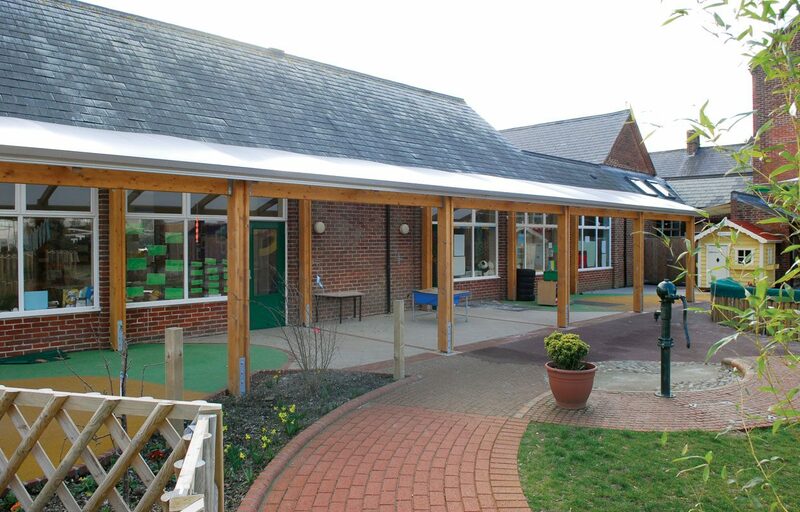 Our 50 years of experience across the UK, plus a complete design and build service offered by our team, will ensure a stress free project from initial conversation to handover on site.